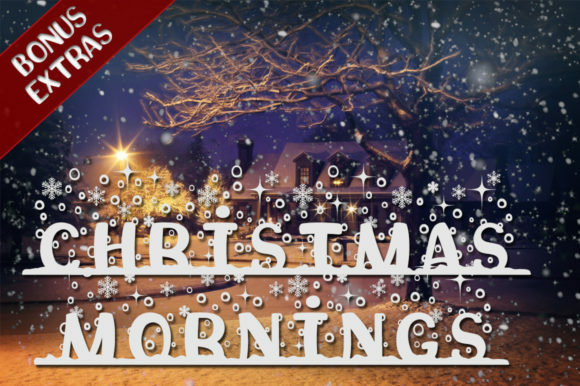 The Christmas Mornings is a holiday display font. 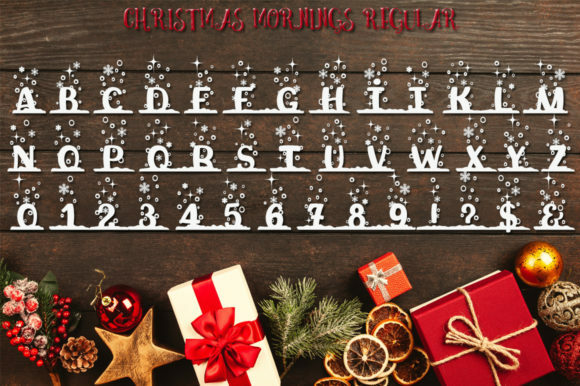 It is intended to be used as a header font, ornamental font and for craft products. 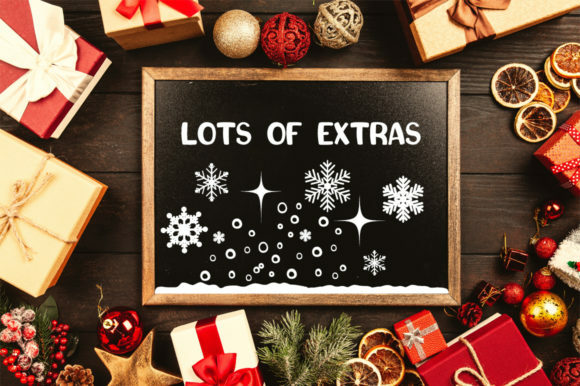 The Christmas Mornings comes in 2 styles: regular and clean and included as a bonus is Christmas extras. 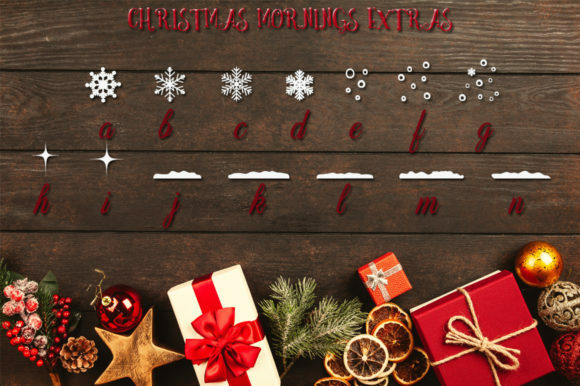 Use the Christmas Extras font to create a snowy background and use it with any font you prefer! 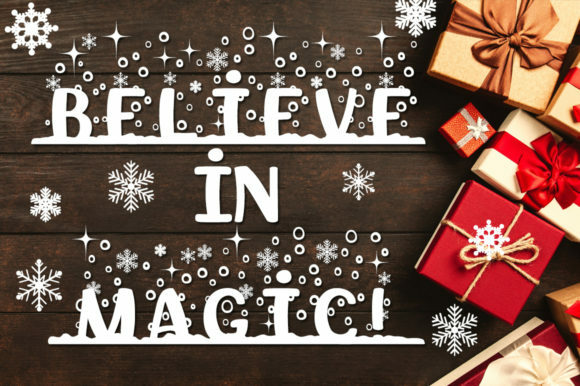 Optimized for crafters with Cricut, Silhouette Studio, etc! The number of points in each letter is reduced to a minimum and the cutting takes much less time.